Zakaria Mohammad: Is This Home? The following is an excerpt from Zakaria Mohammad’s Is this Home?, translated from the Arabic by Michael K. Scott. 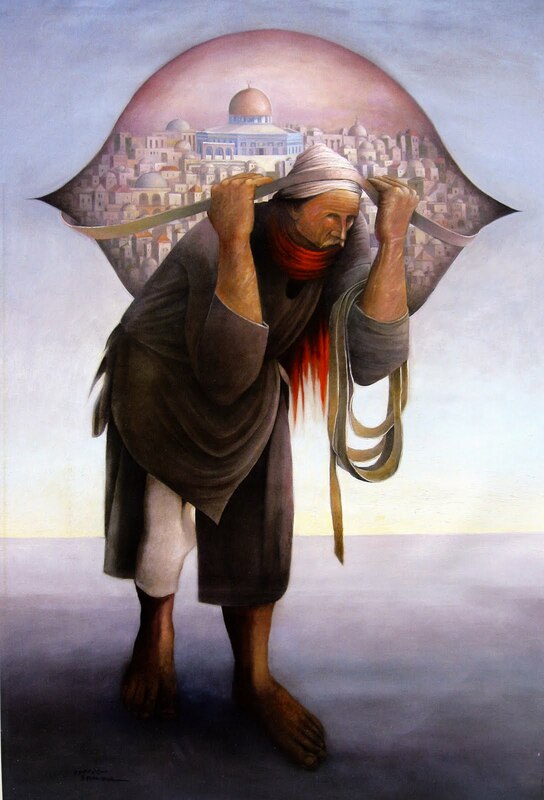 It is a story of Mohammad’s return to Palestine after decades spent in exile. “In the days prior to my return I had decided to assume a cool demeanor and contemplate my country as a tourist might, and not as a rapturous and homesick returnee. I wanted to hold the moment in my hands, examine it, and write up the experience. And I wanted to minimize, to the extent possible, any emotional entaglement on my part, so that I could see things clearly. I’ve gotten tired of emotional entanglement… My entire life has been full of that. Now I am an old man who wants to see things clearly with a neutral eye. Yes, I want to be as cold and dry as a stone, if I can. Then I got to the bridge that connects one bank of the river to the other. I arrived, and ended up on the other side. I came away from the bridge with my blood boiling. Five hours of interrogations and closed rooms with the Israeli secret police seemed to have injected poison into my veins, and obliterated all of the happy scenarios I had constructed for the moment of my return. For the Israelis, these hours were needed so that each and every returnee would understand the truth they wanted understood: you are coming to place yourself under our heel. This is the supreme truth, and everything else follows from it. I was unable to act like a tourist who sees things with an indifferent eye. I was unable to act like a returnee overcome with yearning and joy. I was unable to tak ein the views or the scenery clearly. I had no ability to contemplate and enjoy, nor to observe or critique my feelings. It took me a few hours in Jericho before I could regain a bit of my composure. Then we sett of from Jericho. The plam trees on my right provided pleasing company. I found joy in them, until our guide informed us that the Israelis owned all of the plam groves. We walked on, our little flock shimmering ahead like a mirage, stopping only at the Israeli checkpoints. There was with us a man who had reached, or nearly reached, his old age. He was returning after forty years of absence. All he had lef in the homeland was a married sister in Talouza. He was afraid that this sister might not recognize him, and not acknowledge that he was her brother. She might refuse to receive him. His thinking was beyond me. How could a sister shut the door on her brother, whom she has not seen in decades? The thought seemed ludicrous to me, but the man was afriad it would happen. He wanted us to wait for him until he knew his sister’s reaction, and that of her husband. We didn’t have time to wait. Every one of us wanted to see his mother and family. So we went our way. We left him knocking on his sister’s door, hesitant and in trepidation. The family home consisted of two concrete rooms whose doors close only at bedtime. There, on my arrival, my sister cried, while my father seemed to be only semiconscious, thinking of the days long gone by, and of the death that hovers around him. As for my mother, she smiled. But her smile seemed to be carrying some illness – some effort to forget – that I could not yet understand. The reunion was no bolt of lightning. I was weightless. The first days passed in the rush of greetings and hugs. But gradually the war between memory and reality broke out, in my mind. In exile we lived in memory, and on it. Memory would devour us. It gave us vitality, and it adorned the goal, the purpose of our exile. It would grow and expand, merging with truth and delusion. It had its own routine. It would conjure up a scene from the past for me, whenever and however it wished. We would play together. Memory and I were twins. → Zaher Omareen: A Bedtime Story For Eid. ← (Interview) Janus Metz Pedersen: War Is Like a Drug.